Hey everyone, it’s Medicine Mondays again. A lot has been happening crypto lately so I’ve been talking about that a lot. However, today I’m going to go back to some of the more “normal” posts and talk about “February Introspection”. If you’re a first year, you’ve finished the first semester, which for many will be grueling. The classroom years of medical school were some of the most mentally exhausting times of my life. It was an order of magnitude more difficult than what college was, at least for me anyways. For you 1st years, it’s probably a good idea to take some time for yourself and remind yourself why you’re in medicine. Refocus your efforts on the primary goal ahead of you — the path to becoming a doctor. It was sometimes hard to remember that you will eventually would leave the cave of the library or dorm room or wherever you studied best and would rejoin “real life”. By real life, I mean, interacting with people in the way you envisioned a doctor would. As much as it may seem that everything you learn in your 1st year is not important, it does lay the foundation for what you will learn next, and after that, and after that. All this book learning has a purpose. As a 2nd year medical student, you’ve finished 3rd semester now. Your life is mostly consumed with passing your classes and studying for Step 1. I’ve written about how life-consuming it can feel in my post “The Test That Decides Your Life – But Not Really“. The feeling of isolation that you had as a 1st year reaches a fever pitch in your 2nd year. Many students isolate themselves in their “caves” once again to study and prepare for Step 1. Try not to isolate yourself too much. Try to remember what you were like before you were a medical student robot studying for 16 hours a day. I’m not saying don’t study for Step 1 — obviously it’s an important test. I’m just trying to remind you to not to lose yourself. Now, as a 3rd year, it’s mid-way through 3rd year and you probably had a rough transition from being a bookworm to “on the job” training that the clinical years provide. Unfortunately, you only spend enough time in each specialty to be “not uncomfortable”. You start each rotation not knowing what to do, a deer in headlights. Then, as each day passes you become more comfortable and more familiar with the day-to-day operations. Finally, by the end of the rotation you develop a sense of “oh, I kind of get it — I’m even helpful sometimes”. When that happens, it’s time to move on to the next rotation. 3rd year is basically being in a state of perpetual discomfort. However, now you know that with each rotation what to expect… perhaps you’ve even gotten used to this discomfort. 3rd year teaches you how to adapt to your surroundings, be part of a team, and be helpful. Mostly, it teaches you how to be safe in the hospital/healthcare environment. Look at you now! You’re a big time 4th year. All the 3rd years look up to you for help with their puppy dog eyes. You reminisce about how you were a 3rd year — seems like so long ago. You are confident in how to do things around the hospital and be helpful. However, secretly you’re internally screaming about The Match. It’s February, your rank order list is in. You’ve put your best foot forward, you’ve gone over all your ranks a million times. Now you’re just waiting for Match Day. First of all, please certify your list. Second of all, don’t make any changes on the last day, unless you have an “Ah ha~! !” moment — new information that you didn’t know, or didn’t remember until now that 100% changes your mind. John and Bob are friends. John has a cat named Furball and a dog named Rover. What is John’s cat’s name? This is an “Ah ha~! !” moment. Something changed. So you change your answer to “Rover”. If you’re an intern, then February means you’ve survived more than half the year. In a few months you’ll move on to being a resident, or if you’re a prelim, you’ll move on to your advanced position. As an intern, it is important to be aware of your own self-confidence. It’s February, you’re definitely a different person than when you started in July. All of the things that made you sweat bullets are now pretty easy. I’ve seen interns make mistakes around this time period — not because they didn’t know what they were doing, but because they were overconfident. When you’ve done something many times, your brain thinks you can start taking shortcuts. Please don’t do this. Do things the right way — every time. Don’t forget about the Dunning-Kruger Effect. 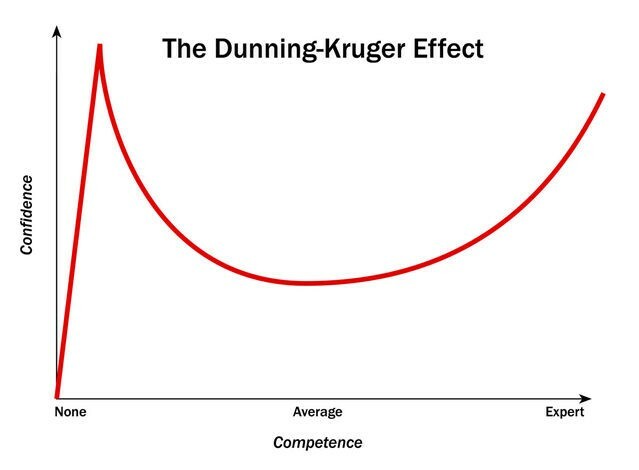 Don’t forget about “Mt Stupid” which is the peak of The Dunning-Kruger Effect before the crash in confidence. This same effect can happen again at different times in your residency (and fellowship). Be aware of it and stay vigilant. You’ve finished your residency/fellowship. You started your first job. Hopefully, when you were interviewing for a job, you read my post Choosing Your First Job. It’s been a few months since you started now. You’ve hit your stride — but some things that didn’t matter before really irritate you now. Your other friends seem to love their jobs. Maybe there is something wrong with yours? Time for some healthy introspection. Please read my other posts — Time To Look For A Job and The (Temporary) First Job. Also, I think it’s good to understand Experience Matters and Why Experience Matters. First, I think you need to understand that no job is perfect. However, that said, there may be a better job out there for you. In the last few months your priorities may have changed, or the landscape of your specialty, or maybe the job itself has changed significantly. Lots of things can happen in a few months. Ask yourself what you really want and what is really important to you. Be honest. Life is too short to be unhappy. You’ve been an attending for awhile now. Not much surprises you anymore. You have a good job and you’re happy where you are. Maybe it’s time for you to take another look at your retirement plans. Do you have enough money tucked away for a reasonable retirement…? Can you retire early maybe? 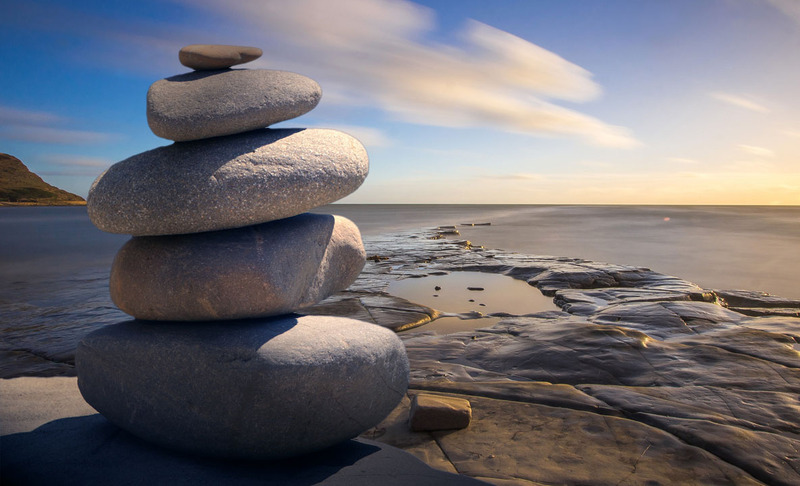 Give some consideration to slowing down or dropping down to part-time. Don’t forget about The Most Precious Commodity. What about you Sensei? What is your February Introspection? I’m still an early career attending. I can’t even begin to think about retiring early. However, the student loans continue to weigh heavily on my shoulders. My next project will be to try to make our student loans disappear in the next 5 years. Once the student loans are gone, I can re-evaluate things and really try to put together a reasonable timeline for retirement — possibly early retirement. Also, our first major family trip is coming up soon. I’m hoping it will be a lot of fun for everyone — and depending on how it goes, I’ll go into planning a trip for next year. My friend keeps telling me about all benefits of a Chase Sapphire card if I’m going to be doing any traveling. I want my daughter to learn new things — and teach her things she can’t learn anywhere else. The mind of a child is just so much more flexible than that of an adult. Why can’t it be broken? Is my Code-A-Pillar a blockchain? How come I can break and fix my Code-A-Pillar, but not a blockchain? Do the princesses always have to have a competition? Anyways, I’m hoping to continue to teach Kylie about blockchain and cryptocurrency. I think the ability to understand this will be important in the future. Of course, I could be wrong and cryptocurrency isn’t the future. However, either way, she gets to learn something new — that really isn’t taught anywhere else. February is a time for introspection. See where you are above. An excellent and informative article, Dr Nguyen!